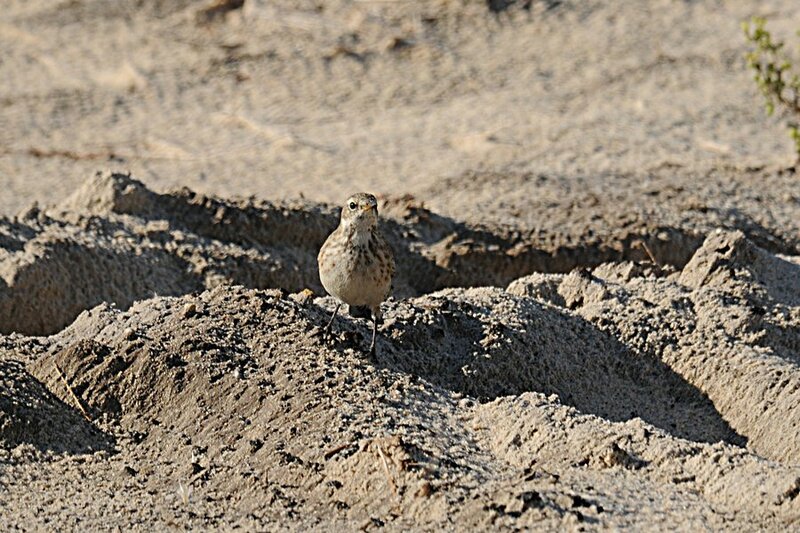 There are quite a few Water Pipits about in the camp at the moment. 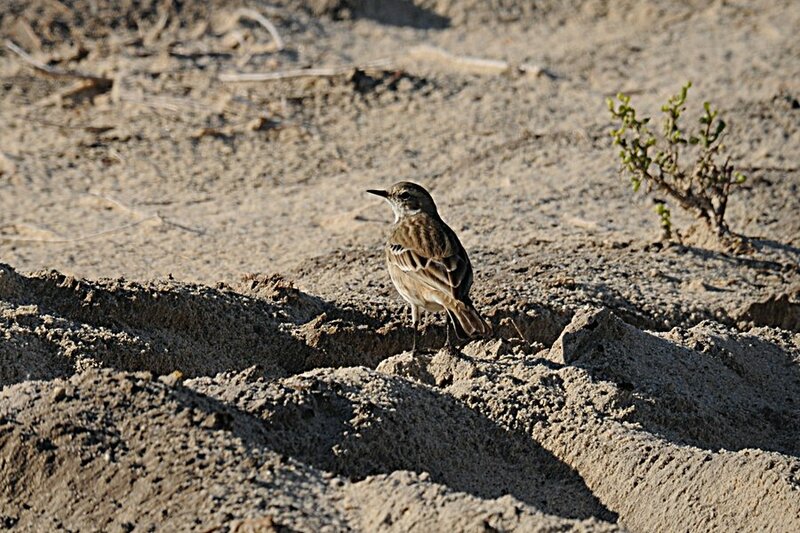 This is a common winterng species in the Eastern Province with many seen at Sabkhat Al Fasl as well as Dhahran. The spray fields are holding a good number of birds with groups of up to 20 flying out as you walk across the area. The spray fields are becoming greener and the Water Pipits and the Skylark flock (17 birds) are enjoying the new growth for food and shelter. The new growth has come as a result of all the rain we have had recently as well as the fact that water was pumped onto the fields for quite a few days whilst the percolation pond was drained. 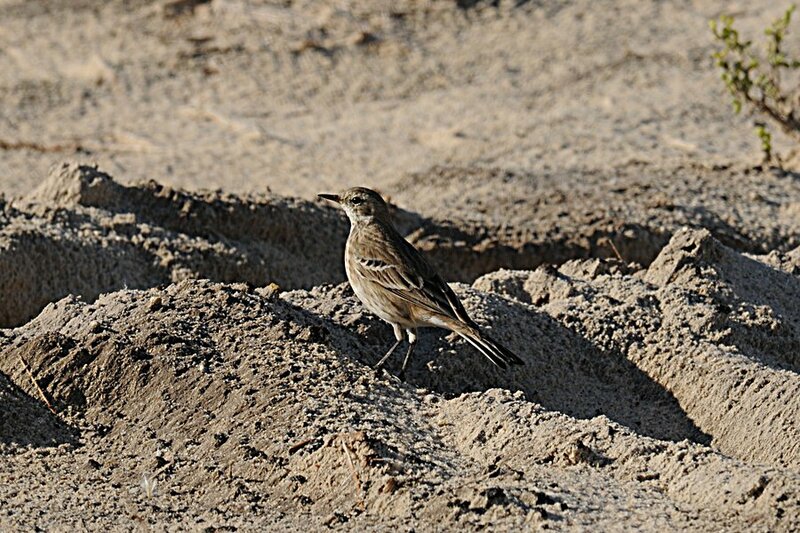 Other birds seen on the spray fields included one Turkestan Shrike, one Southern Grey Shrike, one Isabelline Wheatear, one Song Thrush and two Daurian Shrikes. The percolation pond is now almost overflowing with water but as it is so bare and exposed it is not really attracting birds in good numbers although one Common Moorhen, three Common Greenshank and six Common Pochard were present.